2527 Caldwell Ave, Birmingham, AL.| MLS# 837773 | Richard Jacks UABLIVING.com 205-910-2297 | Birmingham AL Real Estate | Contact us to request more information about our Homes for Sale in the Birmingham AL area. 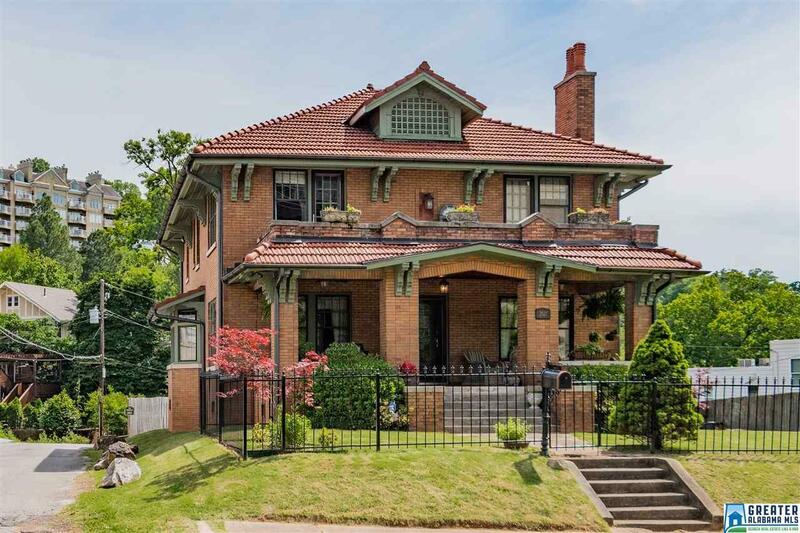 Hurry to see a beautifully restored classic gem built in 1916 in the heart of Highland Park. There is plenty of parking, and a large, flat grassy lot is rare this close to the city! Enjoy city views and sunsets from the front porch, the second story deck, and even the dining room. This 4 bedroom, 2 1/2 bath home has many of it&apos;s original antique features including stained mouldings and trim, glass doorknobs, and a grand craftsman staircase. The lot is big enough for a garage or whatever you can imagine! An easy drive to UAB or downtown and walking distance to many parks and restaurants. Enjoy the evening sunsets from the front porch and fireworks at Vulcan from the back! Ludowici French tile roof recently fully restored. Driving Directions: English Village Up The Hill To Smolian. Go Around The Curve And Smolian Turns Into Caldwell. Turn Left Just Before The House And Park In The Back. Or Highland Ave. Going East, Turn Right Onto Milner And Left Onto Caldwell Ave. Parking Behind The Home Off The Alley.